Rather than limiting your design to the standard 3" width increments of "Factory" cabinets, we build them any size. That means any width, height or depth. For our customers that means a more functional design with far less filler. It also means less hassle on the job when a door, soffit or window is framed slightly off spec (which frequently happens), and now a standard cabinet size won’t fit. 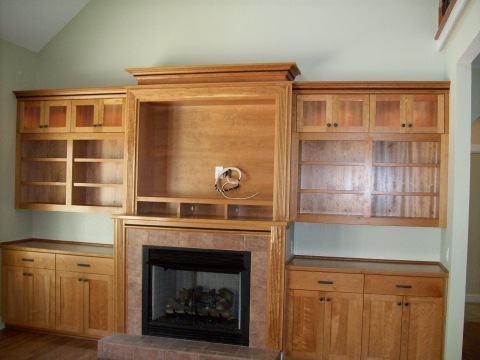 No problem, we merely build the cabinet to fit the space as is, saving the builder/owner a lot of time and money. As you can imagine, this flexibility is really a life saver, especially when you’re dealing with custom built-in’s or wide screen entertainment centers.